gomymobiBSB - Drag-n-Drop Business Webite Builder and Host Platform v1.6 - CODELISTPRO | Free Premium Scripts, Plugins, Apps Source Code. gomymobiBSB is a web-based site builder PHP script that runs on your own host, both shared host or VPS/server to build an online business site hosting platform. 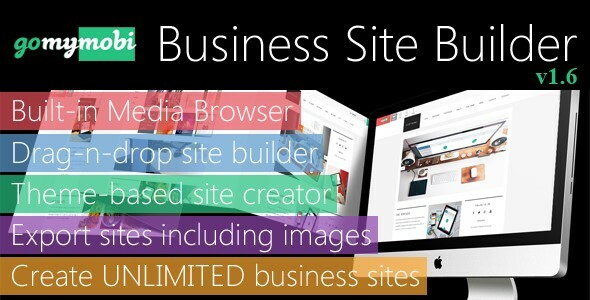 gomymobiBSB is an advanced automated platform that allows your clients to create unlimited sites and present their business/company sites easily and rapidly without any skills of web design, coding or programming.